The Autism History Project–now online! The Autism History Project is a website that profiles people, topics, and ideas that shaped autism throughout the twentieth century. It also presents an archive of sources to illustrate that history. It is for everyone interested in autism as well as anyone interested in medicine and the human sciences, health and social welfare, development and disability, and the history of children and families in the modern United States. Adjudicating rights and managing risks have been two of the most important responsibilities of government in modern U.S. history. Since 1945, the expansion of rights claims and the multiplication of risk designations have coincided. This project probes that coincidence by considering the case of autism. Today designated as a developmental disability, autism’s key characteristic—disconnection—challenges the sociability that grounds secure personhood and civic belonging. Autism therefore illuminates the boundaries of the human as well as the rights of citizens. This research project explores the following themes: autism and the campaign to measure, predict, and control developmental risks; autism as a controversial and increasingly prevalent clinical entity; autism as the basis for advocacy movements; autism and the right to education and early intervention; neurodiversity and democracy. Autism illustrates how risk itself became a legitimate basis for political mobilization, collective identification, and rights claims. 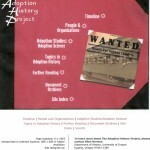 During 2011-2012, this research project was supported by a Fellowship from the American Council of Learned Societies. 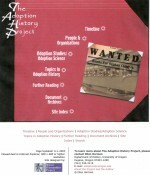 The Adoption History Project is Online! 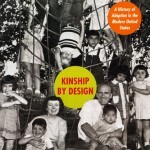 The Adoption History Project highlights the people, organizations, topics, and studies that shaped child adoption in theory and practice during the twentieth century in the United States. The website includes numerous sketches, images, document excerpts, and bibliographic resources. It emerged out of work supported by the National Science Foundation under Grant No. 0094318, and was supported at the beginning by a small grant from Project ECHO, Center for History and New Media, George Mason University. 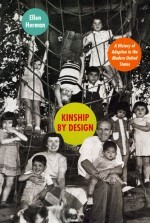 Design assistance was provided by the Wired Humanities Project at the University of Oregon. 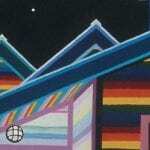 During the 2004-2005 year, expansion of the website was supported by a grant from the Viola W. Bernard Foundation. Psychological insight is the creed of our time, one in which even the most cynical believe. A quiet academic discipline two generations ago, psychology has become a voice of great cultural authority. From family structure to government policy, child abuse to urban violence, few social institutions or political issues in the United States remain untouched by the wisdom of psychological “experts.” Psychology tells us who we are and who we can hope to become. 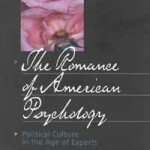 The Romance of American Psychology explores how, and why, this fledgling science became the source of the most potent ideology in contemporary culture. 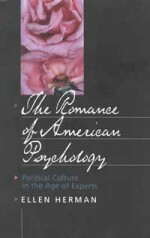 The book tells the story of this country’s love affair with the behavioral sciences. The pressure to be “normal” weighs heavily on all of us, perhaps nowhere more powerfully than on gay men and lesbians. 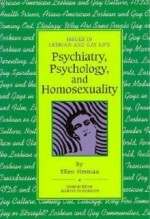 Since psychiatrists and psychiatrists became more numerous and gained authority during the 1940s, their expert opinions have shaped views of homosexuality in the United States. Until 1973, the American Psychiatric Association classified homosexuality as a mental illness, originating in family pathology or “arrested development” and leading to a loveless life. During the postwar decades, activists responded by developing gay-friendly psychological perspectives and defining homophobia as the problem. 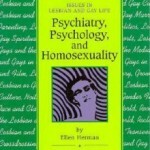 This book charts the love-hate relationship between mental health professionals and rapidly changing gay communities.